New in Theaters July 13, 2018 "Skyscraper" and "Hotel Transylvania 3: Summer Vacation"
Taking a vacation on a summer cruise with his family, Count Dracula makes a romantic connection. 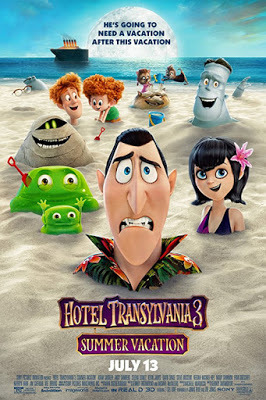 “Hotel Transylvania 3” is a summer kid's film, but being the 3rd in the series it has almost run its course as the movie is losing its freshness. Some of the comedy works and will keep your kids smiling, but there are no big laughs in the movie as the humor degenerates into jokes involving gas passing which are repeated over and over and over. That's not say the film isn't likable it still has a little charm left, but overall Drac and the rest have overstayed their welcome and need to check out. “Hotel Transylvania 3: Summer Vacation” gets a C and is rated PG. 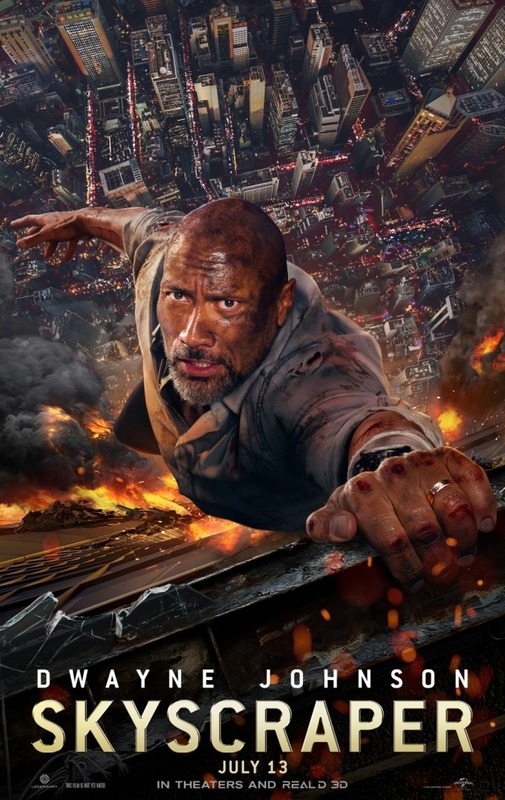 In the film, Dwayne Johnson plays an ex FBI agent who now assesses security for skyscrapers. On assignment in Hong Kong he finds the tallest, safest building in the world suddenly ablaze, and he's been framed for it. A wanted man on the run, he must find those responsible, clear his name and somehow rescue his family who are trapped inside the building. “Skyscraper” is basically a mash-up between “Die Hard” and “The Towering Inferno,” but without any of the intensity of either. The script steals liberally from both films, but really never adds in anything new or original. In the first 30 minutes of the film, one gets the impression it going to be played somewhat for laughs or at least have a sense of itself, but unfortunately no. The audience isn't that lucky, as the film takes itself much too seriously. The movie, which should have been a total popcorn muncher, disintegrates into a frustrating mess that fortunately will be forgotten on the drive home. “Skyscraper” gets a D and is rated PG-13.